NPR's All Things Considered Travels to Puerto Rico NPR's All Things Considered will be traveling to Puerto Rico for continuing coverage of the rebuilding efforts related to last year's devastating storms. 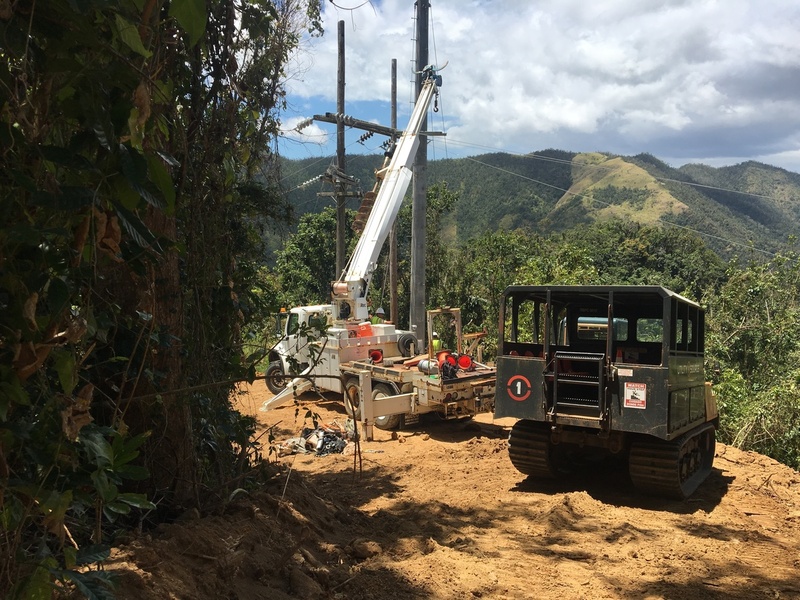 Contractors working to restore power in Cayey, Puerto Rico, in April, the same region where a falling tree interrupted a main transmission line, plunging 840,000 customers into darkness. With the hurricane season beginning on June 1, NPR's All Things Considered will be traveling to Puerto Rico for continuing coverage of the rebuilding efforts related to last year's devastating storms. Michel Martin will host the live broadcast from the San Juan on the weekend of June 2-3rd. NPR will interview Jose Carrion, Chairman of the Financial Oversight and Management Board, as well as FEMA officials and other high level decision makers. Listeners will hear stories on many sectors of the recovery in both Puerto Rico and the U.S. Virgin Islands including: federal aid management, local business recovery, access to healthcare, school closures, power grid operations, population displacement, preparedness for the next storm, and much more. Readers can access pictures and articles across NPR's digital platforms. Coverage will also include reports from Adrian Florido, NPR's race, culture and identity reporter, who has covered the effects of Hurricane Maria extensively, and has been stationed in Puerto Rico since January. Adrian's previous reporting includes the reopening of schools after months of closure, growing frustration over the slow distribution of aid and concerns about contaminated water.